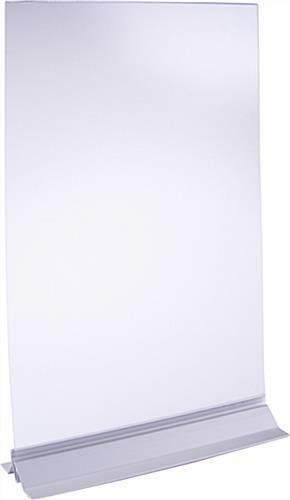 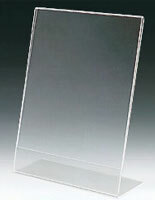 These 11 x 17 portrait sign holders can be placed vertically on counters or mounted horizontally on walls. 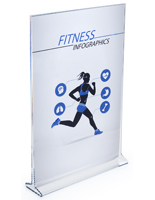 Each base is made of silver aluminum and also supports acrylic covers over the graphic insert. 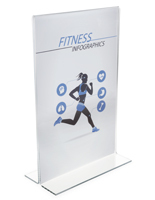 The portrait sign holders feature a bottom loading design and include adhesive tape for both placement options. 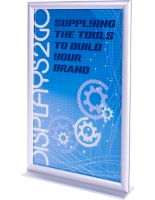 The fixtures are ideal for displaying advertisements on any counter and can be used for wayfinding information when mounted to a wall. 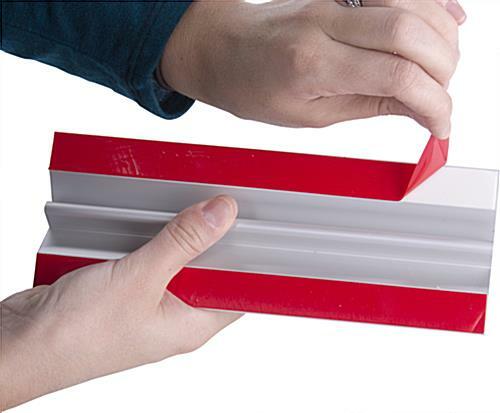 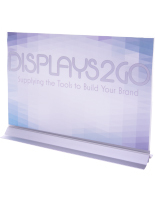 The bottom loading sign holders have a frameless design that has a clean, modern appearance. 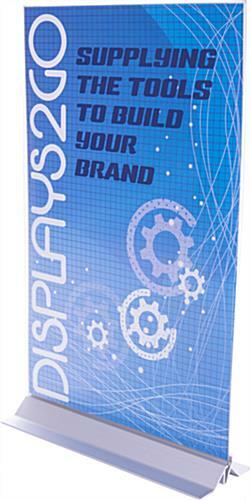 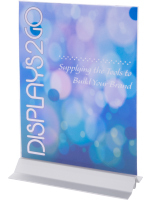 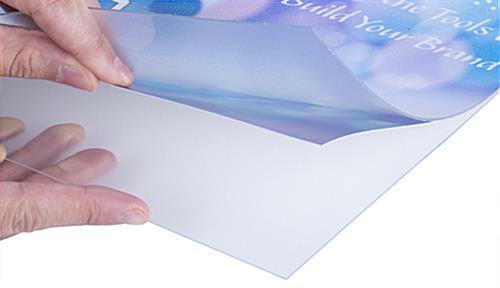 The flexible acrylic covers included with each stand will protect graphics from becoming dirty or damaged by moisture.